The Pats are at a now-completely empty Jurer. The GSPO CSI are reporting their findings to them. The Lups must have more allies, especially with a fake France-based company listed as owning the bistrot. Sakuya looks at his phone, having tried calling Umika several times since yesterday. Tsukasa says they should return to HQ to file their reports. 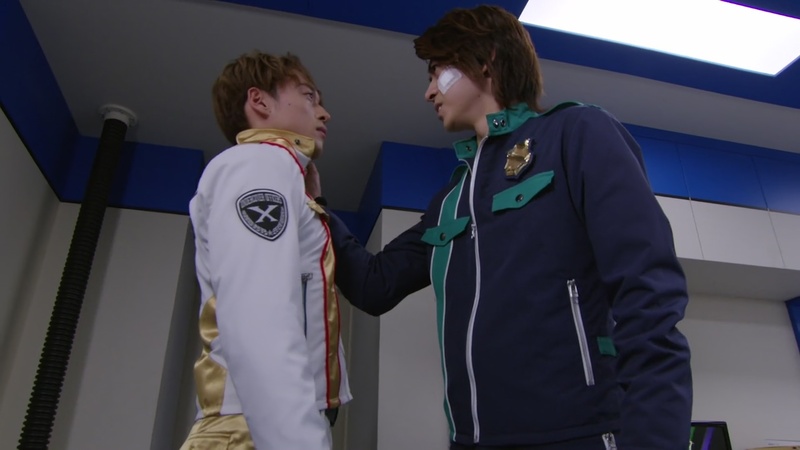 Keiichiro tells Tsukasa and Sakuya to go on ahead as he would like to take time to clear his head. At their new hiding place, the Lups watch the news reports while Noel and Kogure help them settle in. 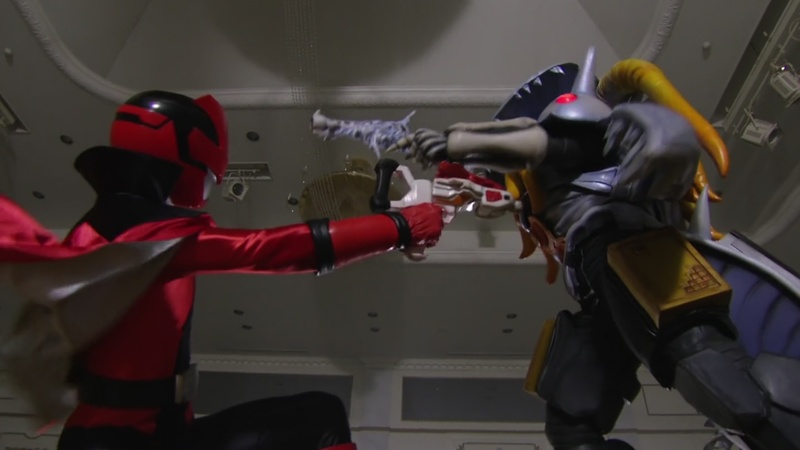 Kogure asks Noel to use his connections at the GSPO to try and get the Lups to continue their kaitou-ing. The Lups ask about Dogranio’s safe. Noel says it is Status Gold: Physical Protect with an infinite space inside capable of holding most of the remaining Pieces. Not only that, but Dogranio’s safe allows him to use all the Pieces at once. Kairi decides to go out and see what’s up. Down in the underworld, Zamigo asks Dogranio if he could leave his toys alone. Dogranio grabs Zamigo by the collar and says it is none of his business what he does and he will do as he pleases. Zamigo apologizes for the brash words, but he asks Dogranio to leave his plaything LupinRed to him. Dogranio tells him to do what he wants as well then. Back at the GSPO, Jim Carter hasn’t found anything about the Lups whereabouts. Just then, Noel walks in and asks if there’s any news on the Ganglers. Sakuya approaches Noel and grabs him by the collar. Sakuya asks if Noel knew Umika-tachi were the kaitous all along. Noel says Yes. Sakuya then asks if Noel thought it was funny when he pushed them all to become friends. Noel says he sincerely thought it would be nice if they were all friends. Surprised by Noel’s response, Sakuya lets him go. Noel says he wanted to be able to resurrect the dead and protect the peoples at the same time, all because he considers them his dear friends. He apologizes for hurting them by his lies, but he is still committed to accomplishing both goals. He asks Jim Carter to look into more information about Dogranio and Zamigo. Jim Carter realizes something. 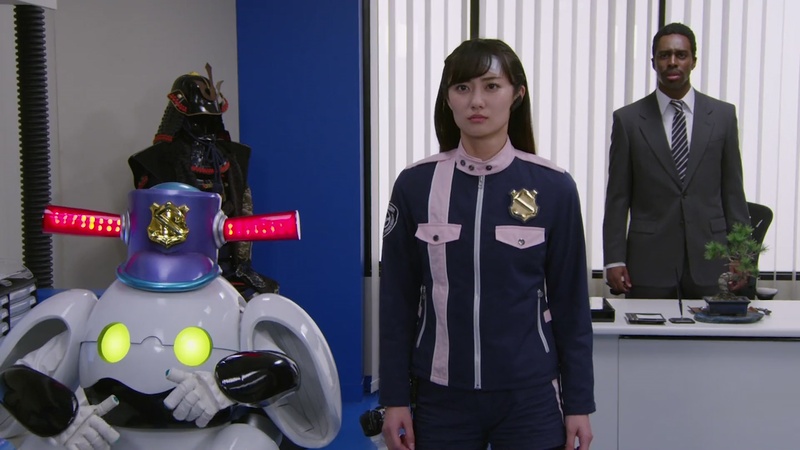 On the other side of town, Keiichiro is surprised to see Kairi sitting in front of him. He asks why Kairi would show himself. Kairi is confident Keiichiro wouldn’t arrest him, here and now and knows Keiichiro would like to say something to him. 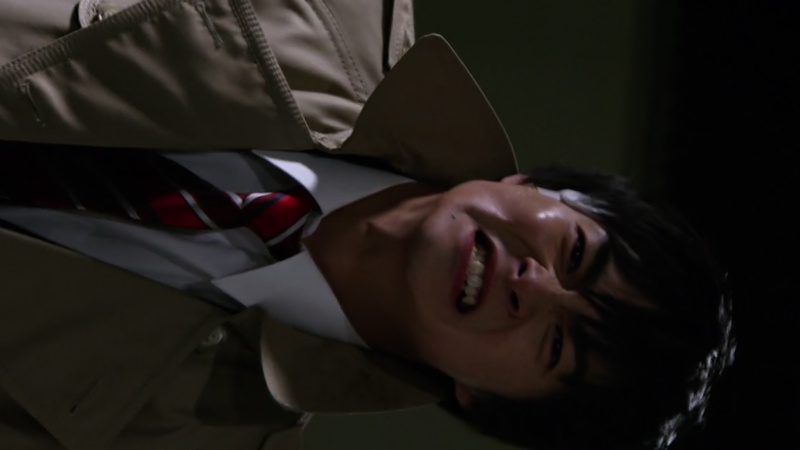 Keiichiro confesses he’s had strange suspicions about LupinRed all season long. But realizing LupinRed was Kairi makes all those moments not so strange after all. Keiichiro asks Kairi if it’s a stretch to believe Kairi was sincere sometimes. Kairi says that’s not it. 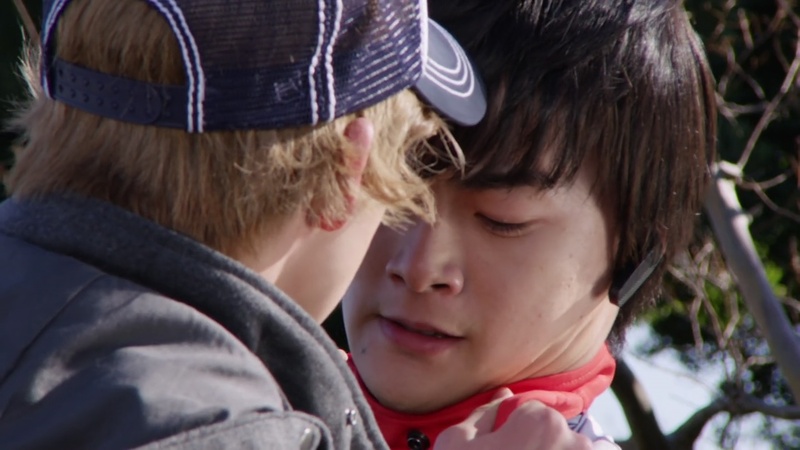 He grabs Keiichiro by the collar and screams at him to get angry for all of Kairi’s lies all season long. 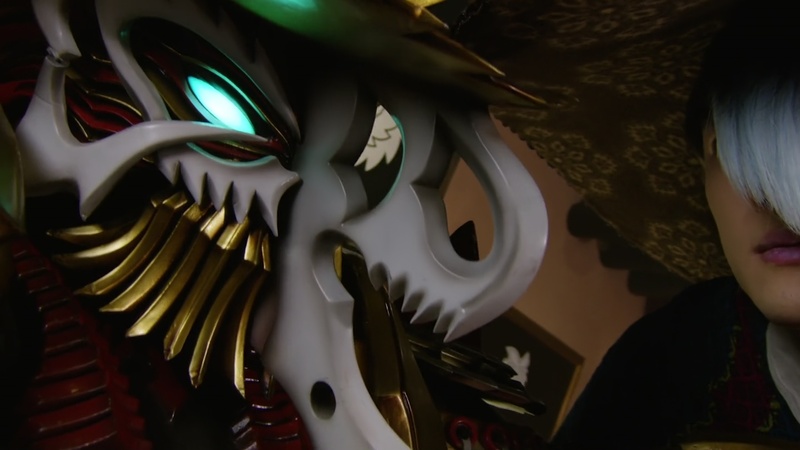 Keiichiro says he is angry, but at his own incompetence and shortsightedness that he wasn’t able to realize the Lups’ true identities a couple of episodes earlier. That way, he could’ve been able to help and save his new little brother. Kairi turns away and says people who can’t rely on the keisatsus become kaitous. Kairi begins to walk away, but Keiichiro repeats that they want to help, especially before Kairi’s brother becomes skin for a Gangler. That’s the bombshell Jim Carter and the Pats have just dropped on Noel as well. Noel says the one responsible for Ice Day was Zamigo. Kairi returns to the Lups’ hideout to tell the others about the big revelation. Zamigo has turned all the disappeared into Gangler skins. They come to the realization that all the disappeared people are dead, including their loved ones. Dogranio embiggens himself and begins murdering people all over the city as he rampages. The Lups decide that even if they can’t resurrect their loved ones, they still need to collect the Pieces to defeat Dogranio. The Lups hop into LupinKaiser and immediately take on Dogranio, but they can’t even leave a scratch on the chains wrapped around his safe. Dogranio immediately gives them a taste of his Pieces. Zamigo watches, repeating that he wasn’t going to let Dogranio take his plaything, LupinRed, from him. Zamigo suddenly shows the Lups their three loved ones still frozen in ice. Umika realizes they haven’t been turned into skin suits yet, so they’re still a chance. Tooma thinks Zamigo saved them for last because he knew they were related to them. Noel arrives to help as Dogranio continues exerting his limitless Piece power on them. The Pats get out of their car to watch the one-sided battle. Dogranio has the Lups and Noel on their backs. 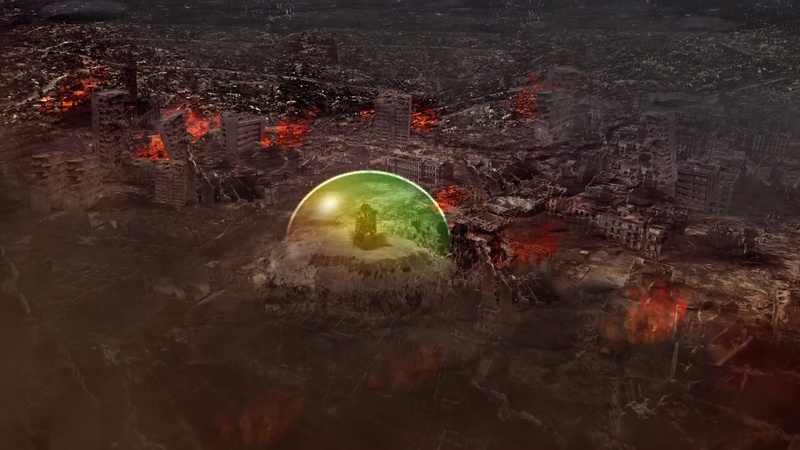 He then summons an immense power and uses it to obliterate most of Tokyo like an atomic bomb. The Pats hide behind their cop car and are safe from the fallout. 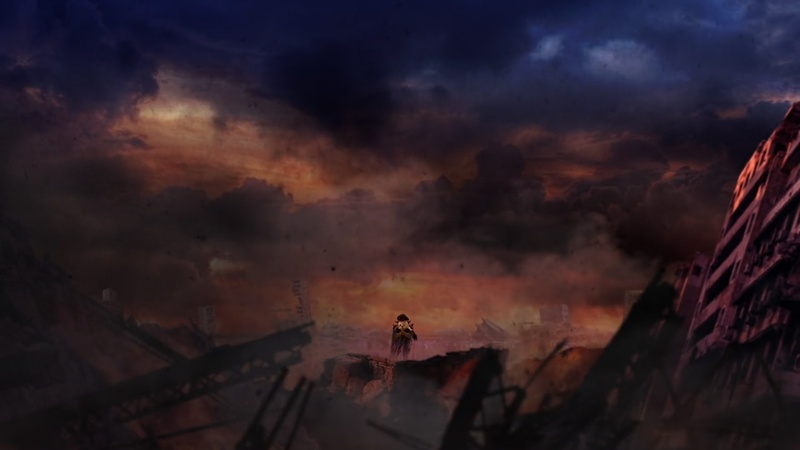 A bloody Kairi regains consciousness in the middle of a burning city. Tooma and Umika are nowhere to be found. He is able to make his way back to the hideout which is untouched by Dogranio’s atomic bomb. Kogure quickly bandages Kairi up as he tells him that the Pats have taken Tooma and Umika to the hospital. Keiichiro runs around the seemingly untouched parts of the city looking for Kairi. Tsukasa and Sakuya watch Tooma and Umika, thinking about what they’ve gone through this last season. Kairi inhales a bottle of painkillers, intent on going out to save his friends, despite Kogure trying to hold him back. 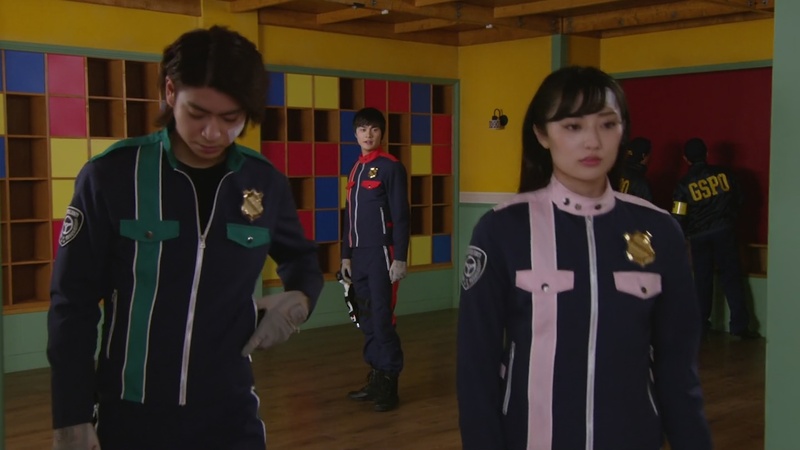 Kairi and Keiichiro go sideways looking for each other through the city which appears to have rebuilt itself in a few hours. Keiichiro eventually finds a still weak Kairi by the water. Keiichiro repeats that he wants to help Kairi, but Kairi reminds Keiichiro of his critical words from the past. Keiichiro says he became a cop to help people who were suffering. And if he can’t save Kairi while an officer, then he will quit being one. Embiggened Podamans begin rampaging in the city. 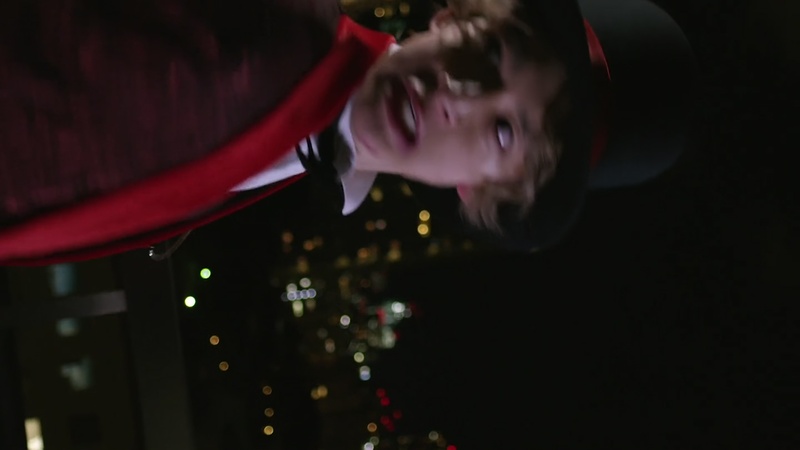 Kairi pushes Keiichiro and says he should be over there, saving the peoples of the city, not a kaitou like him. Kairi says they can’t be like each other. They’ve got their own responsibilities. Kairi thanks Keiichiro and walks away. Keiichiro runs back toward the rampaging Podamans. Tsukasa and Sakuya also hurry over. Kairi finds Zamigo. Zamigo giggles at him having saved the Lups’ loved ones for last. But he’ll be turning them into skin suits tomorrow. So Kairi better defeat him before Dogranio kills them first. Kairi morphs. Zamigo tells him to come. So this was a very dark and very dramatic episode. Even noir-ish. On its own, far better than Episode 48. But again, this episode kind of suffers the same problems. Lots of great moments in this episode, but really no depth or foundation to them. On its own, it was a very engaging episode. Maybe one of the best written and best acted of the season. But it lacked the depth it needed to be truly affecting. The existing foundation for such a dramatic episode is flimsy at best and that’s disappointing considering the cast did a great job in this episode. And the individual events of this episode were so exciting. It’s like this episode was from a completely different show. And I think I prefer the show this episode was from than the one we got all year. Of course, I don’t mean having a dark, Gotham-like cops and robbers type of show. But just something that developed over the course of the season into this what should be a huge climax. Anyway, back to this episode. The jump to “They’re all dead” after realizing the iced people have been turned into skins was unexpected, but I liked it. That’s what I’ve been saying all season! They’re already dead. But as this is still a kids show, of course our heroes’ loved ones will get resurrected in the end. BUT! They basically pointed out that anyone who has already turned into a skin suit is actually, already dead. Final. That’s definitely very morbid. And obviously very unfair to everyone else that the Lups’ loved ones are the only ones who survived. But this was another episode that shows how sorely underused Zamigo has been all season. Jingi Irie has been great and really could’ve been an awesome and fun season-long presence. That is, more than his random appearances. He had more of an impact all season than Dogranio did, let’s be honest. Though I still don’t see where this “rivalry” with Kairi has come from. Sakuya’s come out of this haphazard storytelling the best I think though. His conflicted feelings about Umika and him confronting Noel were well-placed and were actually one of the few things that actually made sense and fit with what we’ve seen from him throughout the season. 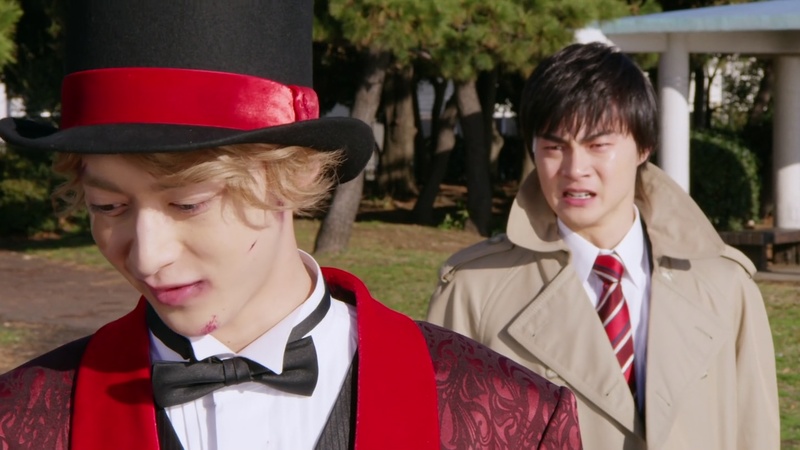 Keiichiro basically calling himself an idiot cop for not realizing the Lups were their Jurer friends is the opposite. Though, considering the way the show wrote the Pats all season, maybe it does fit. But I think his hyperbole of wanting to quit if he can’t help Kairi really undermines what we’ve seen from him all year. He’s a good, noble cop. Even if he can’t save one person, he would never quit being one. He’d only work that much harder to not let whatever happened, happen again. Anyway, only two episodes left. Let’s see how the season wraps up. Indeed, it was dramatic episode. 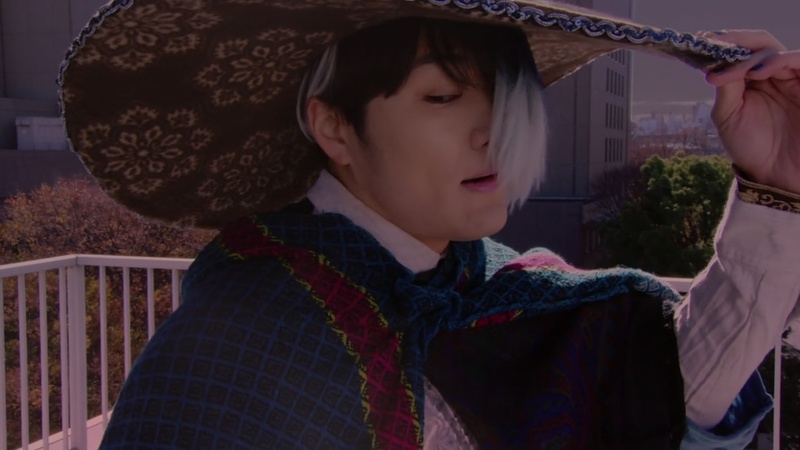 I can see Keiichiro really changed for the whole series. I’ve got to admit, Sakuya was naive and foolish a little and now he’s really angry. Although, I think Sakuya slowly is aware of the gravity of the Lups’ situation. The same for Tsukasa!